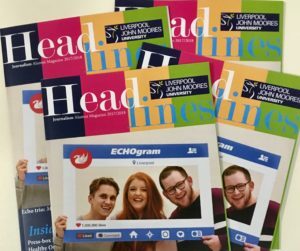 The 2018 issue of Headlines, the LJMU Journalism department’s magazine about our graduates is now live. Third year students are responsible for writing and designing the magazine, which this year features alumni working across the media for a range of varied organisations, from the Italian Football Federation and the Daily Mirror to CBeebies and the NHS. In this issue we catch up with some alumni who didn’t study together but now find themselves working side by side in their newsrooms and we find out how work experience in New York led to a career in financial journalism for 2016 graduate Amber Ainsley Pritchard. 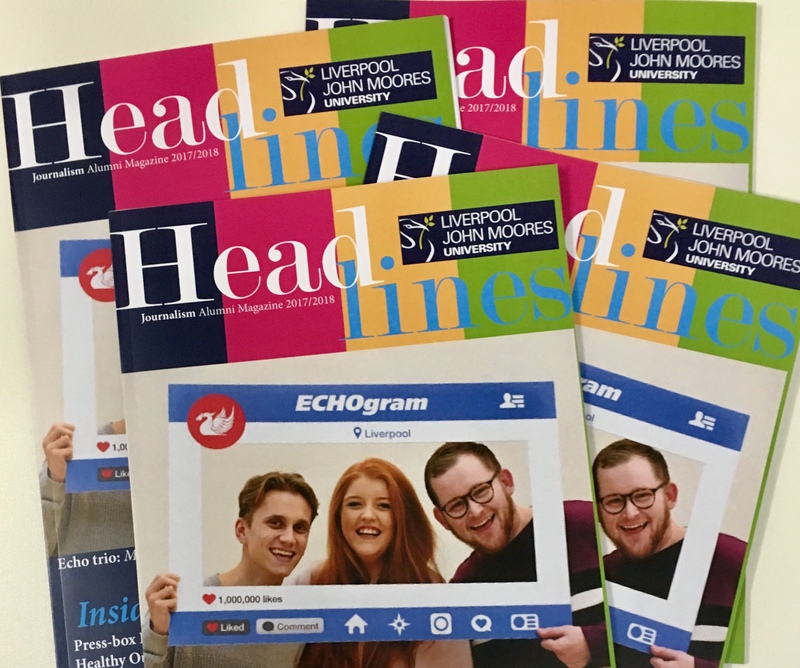 Programme Leader Jackie Newton said: “It’s always great to hear what our alumni are doing and Headlines magazine is the perfect way to share some of their stories. This year’s team included News Editor Tom Sutton, Design Editor Evan Fyffe and writers and designers James Farrington, Ross Hilton-Inkpin, Sara O’Hagan, Jessica Hughes, Tim Spencer-Tanfield, Jasper Hunt, Emily Kinsella and Gem Jones.